The dragonswarm is ended. Fifteen years after Daven Carrickson rebuilt legendary Palmagnes, the civilization of man is once again safe from reptilian menace. But the long years have taken their toll. The Dragonprince is ten years missing, mighty cities still lie in smoldering ruins, and the kingdom of the Sarianne is broken. Hoping to rebuild his old dominion, the jealous king now brings an army to the Tower’s very gates. And whom should he find waiting but the Dragonprince’s son?Born in cataclysm and brought up in the sheltered comfort of Daven’s stronghold, fourteen-year-old Taryn remembers little of his father and knows even less of the world. But Taryn knows what he is owed. 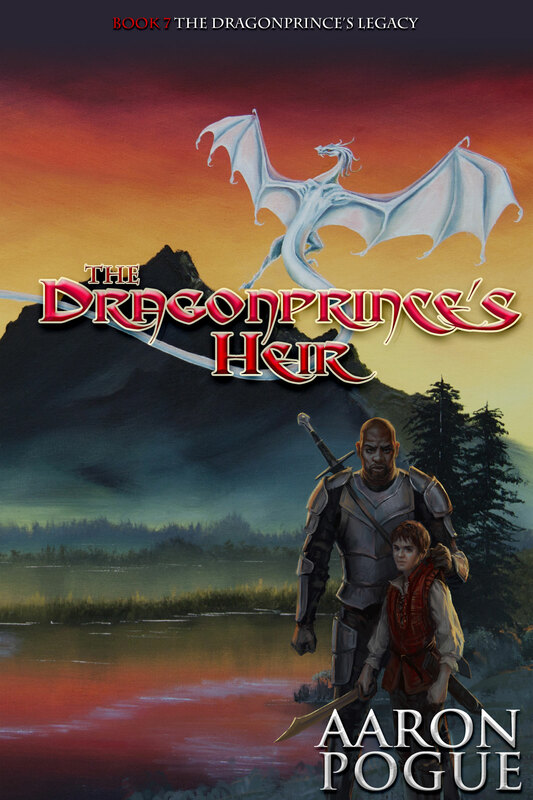 He demands the king respect him as the Dragonprince’s heir…and quickly learns how vulnerable his family is without Daven to protect them. The Dragonprince’s Heir is the final book in the Dragonprince’s Legacy. Approximately 100,000 words.